It was investigated how the energy efficiency of heavy equipment can be evaluated. The wide range of applicability of heavy equipment, as well as the existence of one or more power take-offs requires a special approach for evaluating the energy efficiency of these machines. Therefore, different types of heavy equipment vehicles were equipped with sensors and measurement instrumentation throughout the whole powertrain. With these vehicles, field tests were realized in order to receive perception about the application area and movement- and load spectra of these vehicles during the process of duty cycle operations. Parameters were varied in order to receive information about the impact of environmental effects on the movement- and load spectra. For the analysis of these measurements a software package was developed, which supports the analysis process of measurement data. As a result of the analysis, different standardized field test cycles were designed exemplarily. The driven test cycles were finally object to the evaluation of the energy efficiency. 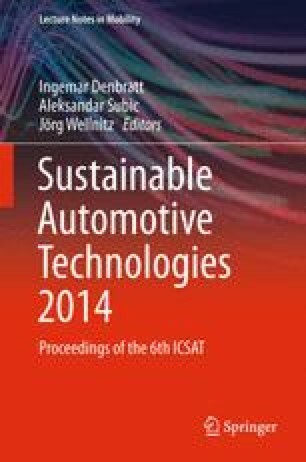 Based on this strategy, a methodology was developed, which provides a uniform way to evaluate the energy efficiency of the analyzed vehicles. The concept is valid for all types of heavy equipment. It is foreseeable that a realization of this methodology with additional vehicles will likewise deliver an energy efficiency evaluation which corresponds to the predicted application area.